As the name implies, the Work Smart resin multi-purpose center folding table is multipurpose table equipped with the lock and carrying handle. This product is very easy to clean. So, you do not have to worry when many stain are attached on it since this product is stain proof. Its surface will not be easily damaged due to harsh cleaning because it is also scratch resistant. It is also easy to move from one place to another. Even though this product is strong and sturdy, it is quite light to be carried. By its simple folding mechanism, you will be much easier to fold and move it. Work Smart resin multi-purpose table is also easy to be assembled. This product has gray powder coat for its frame. It is great for outdoor and indoor uses. 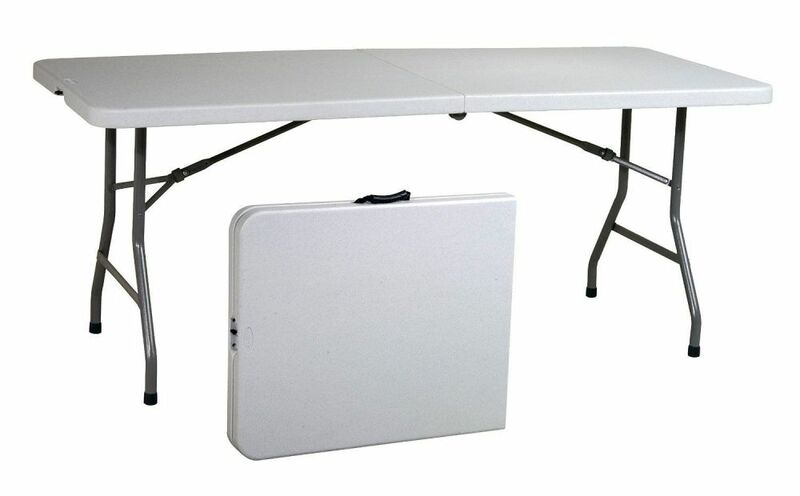 Moreover, this folding table is stain proof, waterproof, and scratches resistant. It is really a great asset for the house. It can be flat folded that is easy to be set up and to be stored. It does not take much space in the room while you store it. The folding table that weighs 34.4 pounds has dimensions of 30 for the length, 72 for its width and 29.2 inches for the height. It originally comes from China. This Work Smart resin multi-purpose center folding table is really multipurpose to be used as everything such as for workspaces, desk, or a kitchen table when you held small party or gathering with your friend or family. Work Smart resin folding table has many uses for various businesses such as for restaurant, school and hotel. You can also use this table in your house. It could be said that this is the important asset for businesses. Therefore, choosing the folding table can give the effect for its benefits as an investment asset. We need to choose the one that can stand sturdily. It has different features that can be considered according to the customer’s need. The main point in choosing the folding table is by considering the weight load that can be accommodated by the table. It should be ensured that the table can hold many heavy objects sturdily. Another primary point is by choosing the material used for the top part of table because when we use the table, the most part used is the top part. 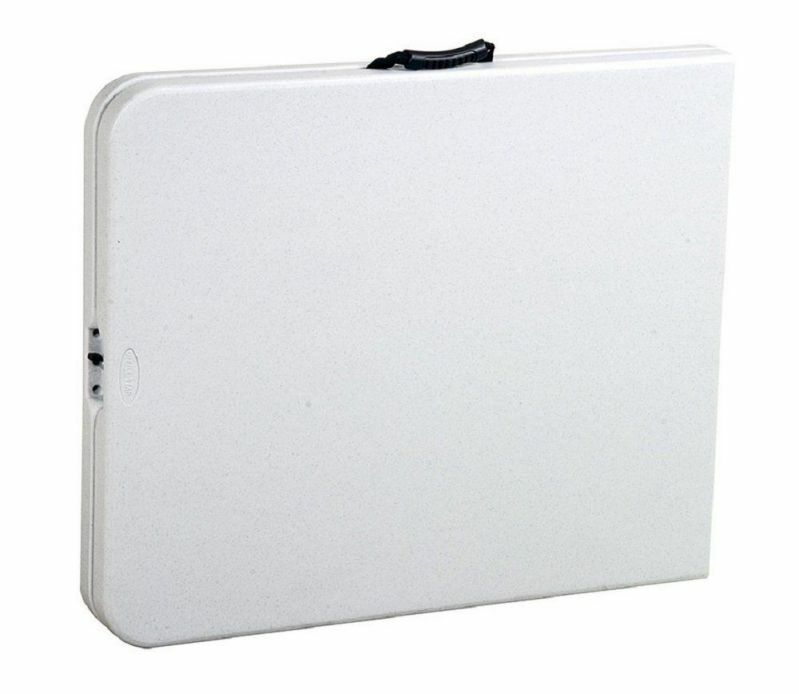 It is made from various materials such as laminate tops, blow mold plastic and etc. You can choose it according to the purpose of its usage. One of the best top materials is made from plywood with linens cover. The table leg is also important since it will be the part which stands to support the table. It must have the high quality material for the legs to support the table well. You should also consider the size and the design of the folding table you choose. It should match the room space and room decoration. Work Smart resin multi-purpose center folding table provides several advantages and comes in various color with the attractive look you can choose.